Make your baby shower more personal with these 10 tips. 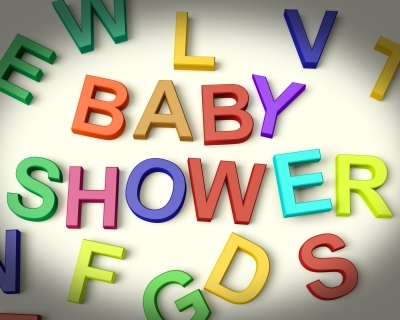 A baby shower is a celebration of a pending or recent birth in which the expectant mother may be “showered” with gifts. They were originally family events that men and children attended, but they have evolved into women-only events over time. A close friend usually arranges the baby shower, using a variety of ideas to make this occasion as memorable as possible for the mother-to-be. A specific theme is a great way to personalize a baby shower. The theme is often based on an activity that the parents enjoy doing together, such as hiking or golf. Incorporate the theme into the cake, decorations, gifts and party favors. The baby will look really cute in a matching outfit for that activity. The decorations for a baby shower generally include banners, plates and napkins. These items can reflect the theme of the shower in addition to personalized touches such as the mother’s name or the baby’s name if one has been chosen. Handmade decorations are easier to personalize and will mean more to the mother than store-bought items. The party favors for a baby shower may include candy bags, figurines, miniature notebooks and soaps. You can typically order these favors in large numbers to ensure you have plenty for your guests. Party favors are often available with customized names and color schemes. A memorable gift should be as original as possible, which can be a challenge for a baby shower. The expectant mother probably has enough blankets and picture frames. For example, a baby wrap is an innovative and versatile gift that a mother can use in a variety of ways to carry her baby. The color scheme is an important consideration for a baby shower. It is traditionally blue for boys and pink for girls, although the baby’s gender may not be known at the time of the shower. In these cases, you can use neutral colors like green and yellow. You can also make guessing games about the baby’s gender. Music is overlooked at a baby shower but it can really add to the ambience of this occasion. Ask the mother what songs she would like to sing to her baby or what songs she liked as a child. Mix a CD with these songs if you have the required equipment and technical ability. This will also make a wonderful gift after you finish using it for the shower. Invitations provide an ideal opportunity to personalize a baby shower further. They are easy to make by hand and many websites allow you to design your own invitations. You may then print the invitations out on your computer printer. Thank you cards for a baby shower are also easy to make and personalize. They allow you to show your appreciation for your guests and they also serve as a souvenir for the shower. The most memorable thank you cards have a handwritten note. Photos are another great way to remember a baby shower. The photos typically show the shower and serve as souvenirs. Photos of the parents when they were babies can also help set the mood for this event. A baby book is a scrapbook that the guest of honor will treasure for years to come. Each guest can leave a note in the book with their thoughts and wishes. A baby book can also contain photographs and birth announcements.